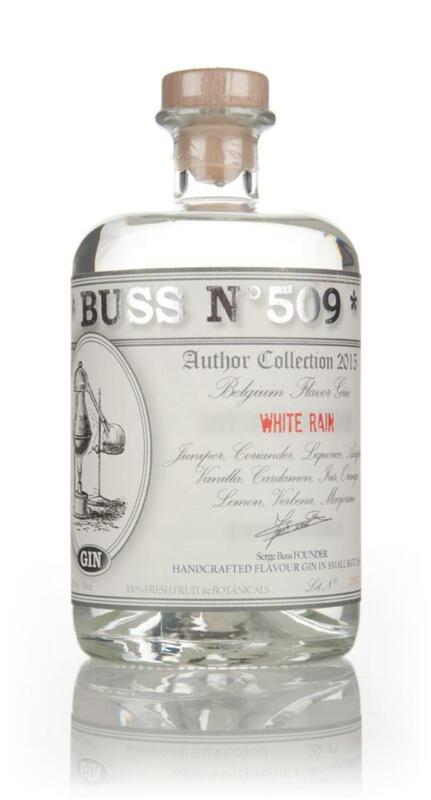 Hailing from Antwerp, the folks at Buss Spirits began somewhat backwards as far as gin might go. They started with their Raspberry version and only later released their White Rain Gin, which is herbal and more traditional with an emphasis on Belgian botanicals. In short, these guys specialize in flavored gin. Their base spirit is 100% grain and this gin contains juniper, coriander, licorice, angelica, vanilla, cardamom, iris, citrus, lemon verbena, and Marjoram. Yep, Marjoram. While indigenous to the Middle East, it’s been a part of European food culture for centuries. On the nose, lovely rich classic gin aroma. I’m enamored with White Rain Gin here, especially because just underneath the fresh herbal juniper and slightly citrus and heady coriander lift, there’s some green notes and rich spice in the under-story. Cardamom surely comes to mind at first but hints of iris and nutty vanilla as well, and leafy green, herbaceous intimations even below that. Quite nice. It gets more contemporary as it warms, unraveling the complexities therein. On the palate, it is most definitely contemporary in character. Strong spice notes on the tip of the tongue, with anise, licorice, cardamom and spots of ginger and clove as well. There’s a pine-heavy backbone to this as well, with some crisp juniper occupying a space that becomes clearer mid-to-late on the palate. Herbal notes come through on the late palate and early finish, reading as slightly oregano and basil, marjoram perhaps a bit more clearly at the tip. Medium-long finish of slightly bitter herbs. Hot and Heavy with a lot of herbs and a lot of spices, bottled at a heady 50% so it mixes nicely. It’s quite good on its own, with a lot of flavor and aroma, so it’s definitely worth exploring. I think this could be a good find. Fans of contemporary gins, and especially spice forward contemporary-gins will find a lot to like here. I think this gin warrants a closer look, not just to this gin (if you haven’t tried), but I’d love to try the rest of their line as well.